Singapore’s ruling PAP demonstrates an intolerance for all but the official narrative of the country’s history. A 70-minute documentary on aging exiles reminiscing about their youth and dreams for Singapore has been banned by the government as a threat to national security. 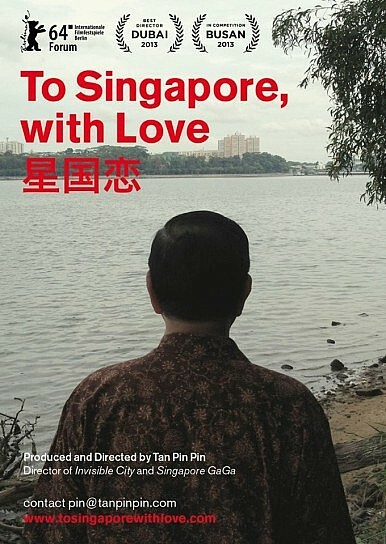 The documentary, To Singapore, With Love by independent filmmaker Tan Pin Pin, featured interviews with political exiles who have been living outside Singapore for the past 35 to 50 years. But Singaporean residents won’t be able to watch these interviews and hear the stories of some of the prominent members of the country’s pioneer generation. It added that the activists, opposition leaders and communists who challenged the leadership of the ruling People’s Action Party (PAP) in the 1960s and 1970s are free to return to Singapore as long as they are willing to account for the criminal offences they committed in the past. PAP has been Singapore’s ruling party since the late 1950s. According to the official history propagated by PAP, Singapore’s meteoric rise as a prosperous independent state was made possible after it defeated a communist plot to overthrow the government in the 1960s. Director Tan Pin Pin expressed disappointment that her film, which received favorable reviews in many countries, will not have a public screening in Singapore. She said the film was made with the intent of helping Singaporeans gain a better understanding of their society. “I wanted to understand how we became who we are by addressing what was banished and unspoken for. Perhaps what remains could be the essence of us today. I was also hoping that the film would open up a national conversation to allow us to understand ourselves as a nation better too,” she wrote in a Facebook post. Indeed, the film could spark more interest about what really happened in Singapore in the 1960s. Aside from the PAP version of history, there is another viewpoint that accuses the PAP of brutally eliminating the political opposition in the 1960s. The PAP also allegedly labeled its critics as communists in order to consolidate political power. Even if this is not true, many artists who signed an online petition believe that there are insufficient grounds to censor Tan Pin Pin’s film. “We would like to suggest that rather than banning the documentary, authorities release their version of the events in question, so that viewers can make up their own minds,” the petition declared. Singapore will soon celebrate its 50th anniversary as a free nation and perhaps PAP should use this momentous occasion to promote reconciliation with its former enemies, especially those who were forced to go into exile many decades ago. Perhaps it’s time to recognize the role of banished leaders and marginalized groups in the making of modern Singapore. Singapore's Intolerance of Dissent in the Spotlight as Police Take on a 'Recalcitrant' ActivistSingapore’s Presidential Review: Change You Should Believe in?Singapore Wants to Tweak Its Political SystemSingapore’s Ruling Party Unveils New Cabinet After Landslide VictoryWhy Do Outsiders Care About Singapore’s Elections?